An excellent way to control light. Great solution in wet areas. White Bay Window Shutters with tilt rods. 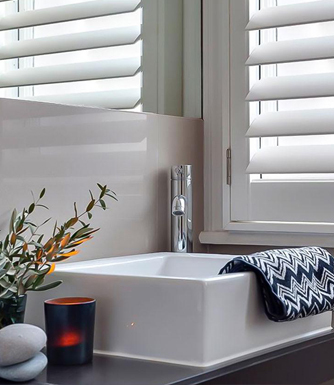 Control light and privacy with our Plantation Shutters in Melbourne. Our large range of Plantation Shutters in Melbourne are hand crafted, and offer the best in value. 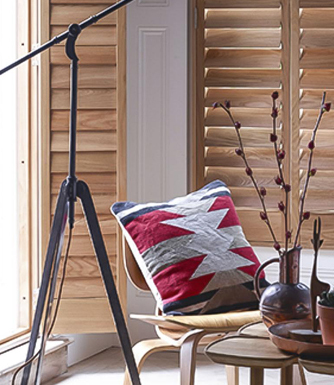 The stylish lines and modern elegance of our shutters add the finishes touches to any room. Along with this, they also come with our guarantee of quality. They also control your heat, lighting, and privacy, while helping to lower you energy bills. 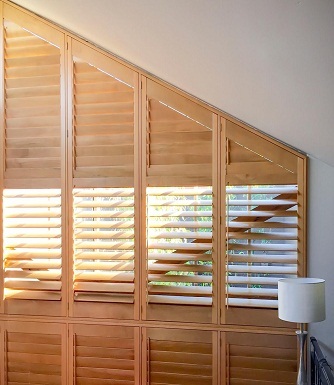 Eco-friendly Plantation Shutters that are made to last. 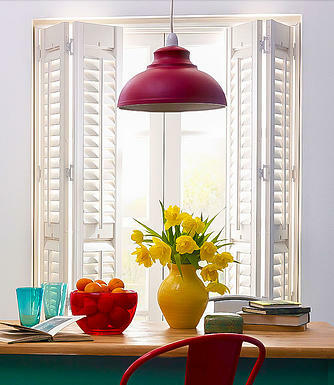 Our Plantation Shutters are made using the highest quality timbers, paint and clear finishes. Built to last, our eco-friendly Timber Shutters are made to be as functional as they are durable. For added strength, we use the strongest haunched mortise and tenon joints for our range.  Our shutters come in 3 elliptical louvre sizes including 63mm, 89mm and 114mm, with a range of centre, side and hidden tilt bar options. 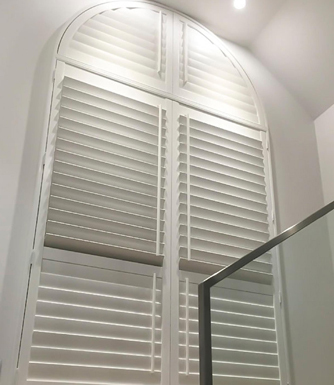 With our range of plantation shutters in Melbourne you can be sure that you are getting the highest quality, at the best prices. You can relax, knowing that should our plantation shutters falter under normal conditions, we've got you covered. Our Timber Plantation Shutters are made with only quality mortise and tenon joints to deliver the most stable and structurally superior shutter panels. We install plantation shutters that are made from quarter sawn timber. The benefits of this that the timber is less susceptible to inherent cupping , twisting and warping. 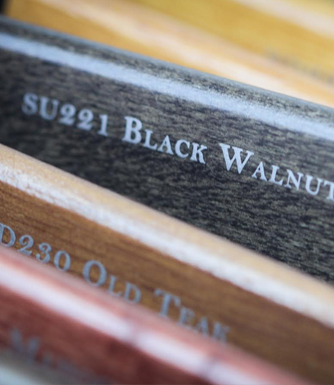 All of our shutters are made from timbers specifically grown for the production of our shutters. It's good to know you are supporting a renewable resource. We have 3 varieties of plantation timber shutters to choose, 1 composite wood shutter and an an ABS Plastic shutter variety. We also have over 50 colour to choose from.